Built in 1900 by Alfred Burgoine, who was Queen Victoria’s boat builder, “Duet” is an iconic Victorian era steam launch of the sort that would be immediately familiar to Sherlock Holmes and Dr. Watson, and very like the “African Queen” piloted by “Charlie Allnut” (played by Humphrey Bogart) which is taken for an adventurous journey to sink a German gunboat at the instigation of British Methodist missionary “Rose Sayer” (played by Katherine Hepburn). The movie is classic Bogart and Hepburn, and a lot of fun to boot. You can find both the movie and C.S. Forester’s novel on which it was based on Amazon if you click here. Duet comes with a purpose built trailer with docking legs to make launching and recovery easy. 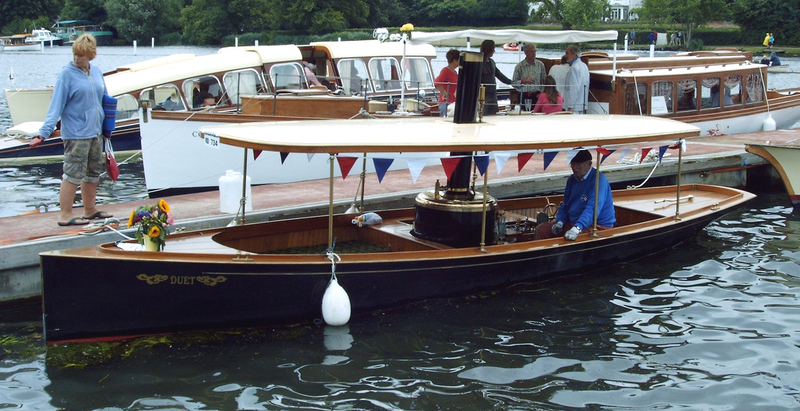 Although nowadays the Thames River near London is not infested with German gunboats that need torpedoing Duet is still a wonderful craft for less dramatic adventures. Re-built in 1965-1971 by Freebody’s in Hurley she has a stainless steel shoe fitted along the length of the keel to protect the copper cladding under her water line. So her construction is similar to that of the historic clipper ship “Cutty Sark” preserved at Greenwich in having that copper cladding to protect her wooden hull. During that rebuilding in 1969 Duet was fitted with a new radial fire tube boiler which is currently in test and rated for 120psi. In 2009 the system was given a full overhaul with new firebox, ash pen and gratings and in 2012 a new grate was fitted. 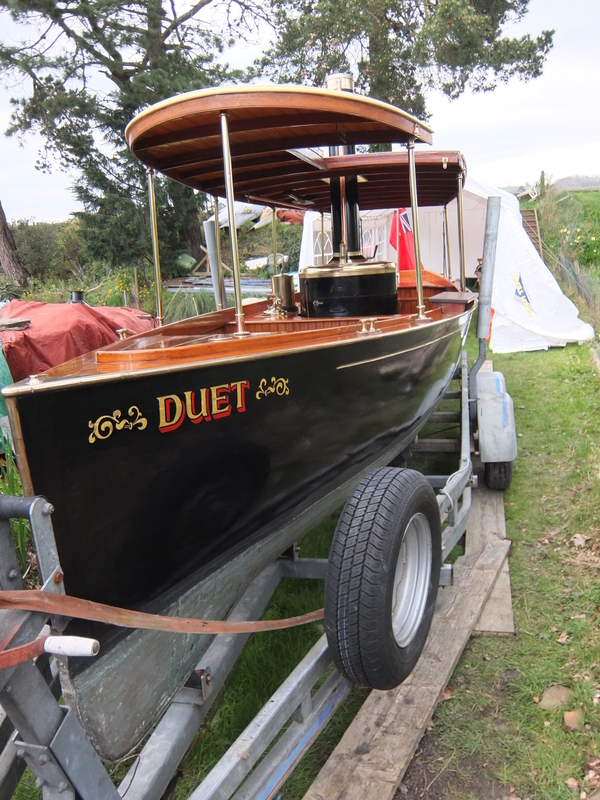 Duet’s fully condensing compound steam engine is a replacement from another craft and is in excellent working order being able to drive her at a relaxing 6-7knots. Re built between 1969-1971 and having had other repairs done in 2009 and 2012 Duet is in very nice serviceable condition. 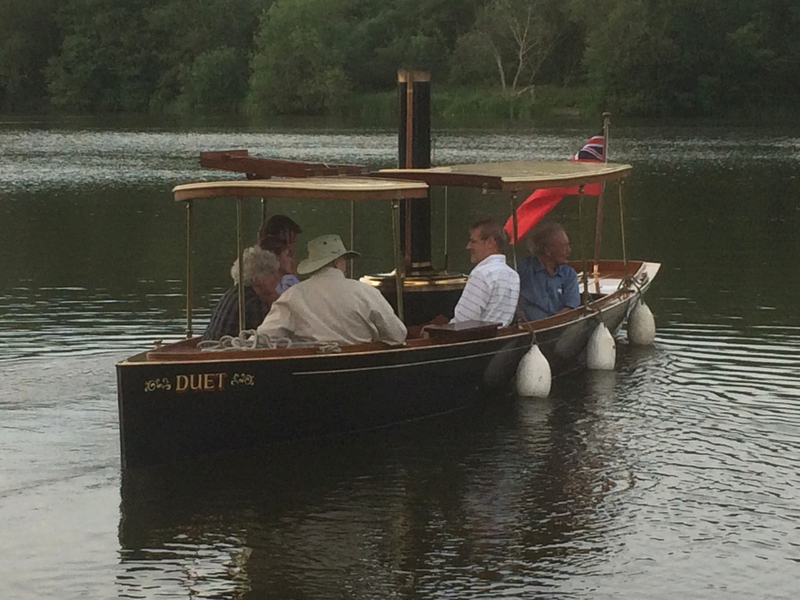 Duet is a very desirable live steam launch well suited to someone who loves steam engines and loves messing about on the water. You will find Duet’s sale page at Henley Sales & Charter Ltd. if you click here. Asking price is £40,000 for this 26ft 1in long Victorian steam launch with her 6ft 9ins beam. With her 6″9″ beam Duet is a comfortable size for a small group outing. 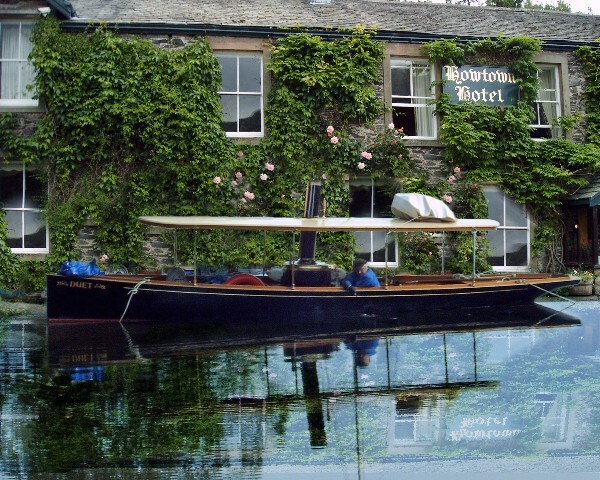 Duet is such a pretty boat that her picture we used as the feature image at the head of this post could make a delightful wallpaper. So I’ve edited that picture a little and given it an oil painting like canvas effect to make a nice free desktop wallpaper out of it. If you like it feel free to download it and use it as your desktop wallpaper. To download this picture just right click on it and choose to save the image. Picture above edited with the free multi-platform picture editing program GIMP.